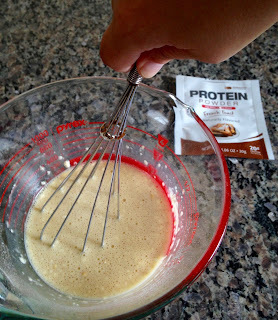 I had never heard of a french toast flavored protein powder until I had the opportunity to try some of the Primera French Toast Protein Powder and I am sure glad I did! First of all, this line of protein powder is different because it is a hydrolyzed protein powder which uses an egg white & whey blend (hydrolyzed: this means it is fast digesting). 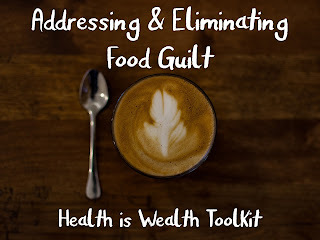 Secondly, I am around a lot of researchers who are doing work with egg protein and its amazing impact on satiation (feeling full) which could be a great strategy for weight management, but I have also learned that the whey & egg protein blend is also looking very promising in the research world- in respect to fat tissue breakdown and muscle protein synthesis. Lastly, but certainly not least, was the joyful smell of these baking in the oven. It was unbelievably delightful. 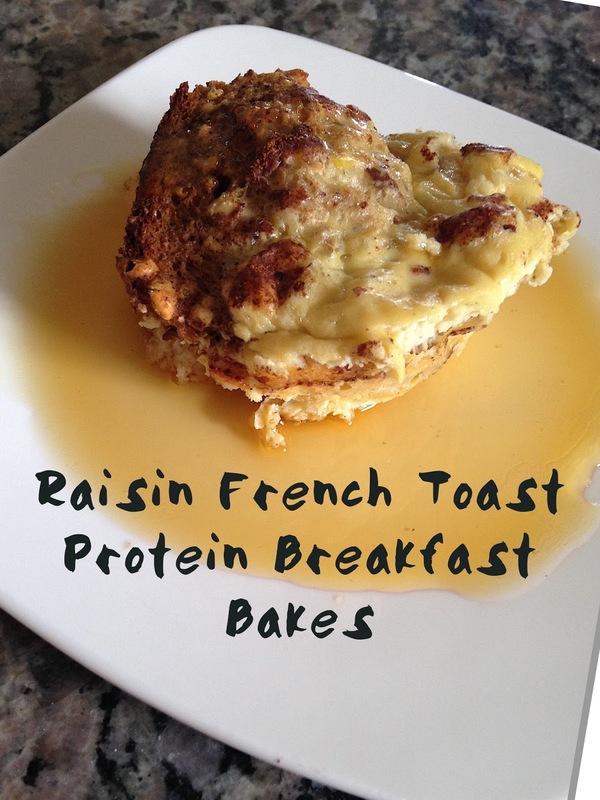 My husband ate these this morning for breakfast and loved them. Place the raisin bread in the bottom of the pan. Spray muffin tin with non-stick cooking spray. 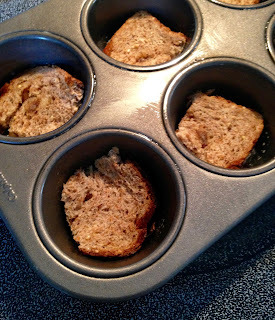 Cut the cinnamon raisin bread into 6 pieces and place in the bottom of the muffin tins. 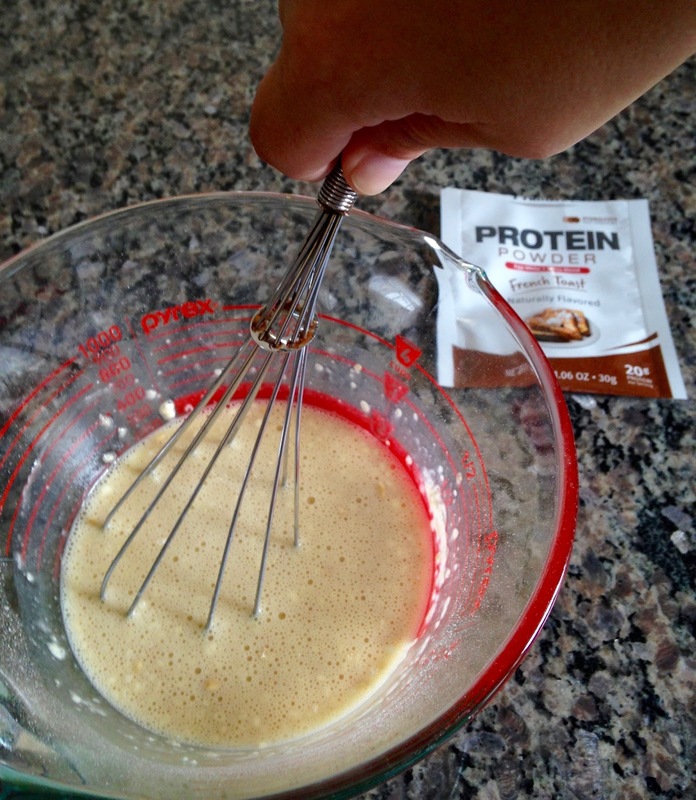 In a bowl, whisk together the milk, eggs, vanilla extract, and protein powder. 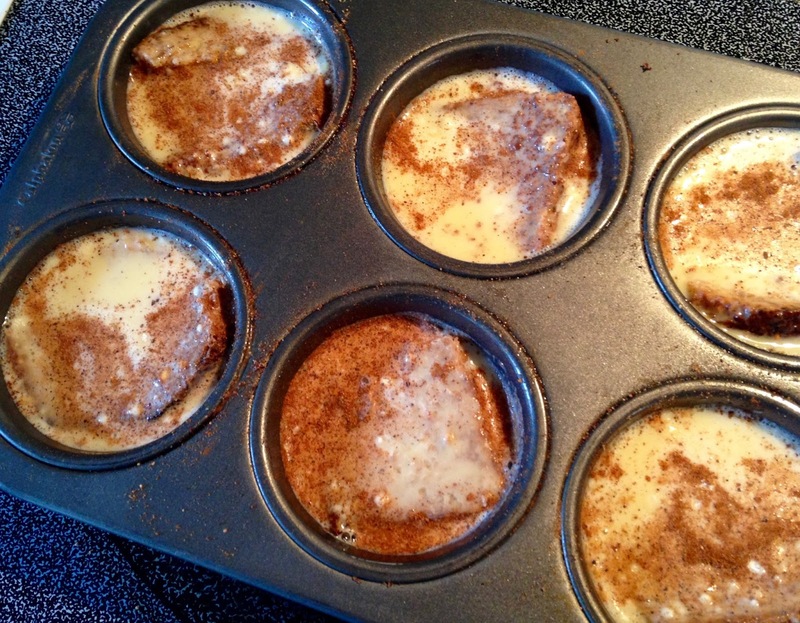 Pour the egg mixture evenly over each piece of cinnamon raisin bread in the muffin tins. Top each mixture with ground cinnamon and ground nutmeg. Make sure all of the lumps are out! Heat oven to 350 degrees F. Bake for 30 minutes. Enjoy with pure maple syrup! Sprinkle the cinnamon & nutmeg!